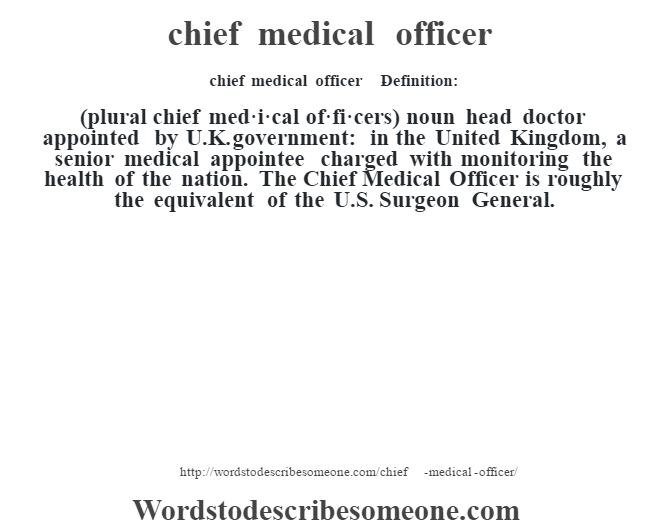 (plural chief med·i·cal of·fi·cers) noun head doctor appointed by U.K. government: in the United Kingdom, a senior medical appointee charged with monitoring the health of the nation. 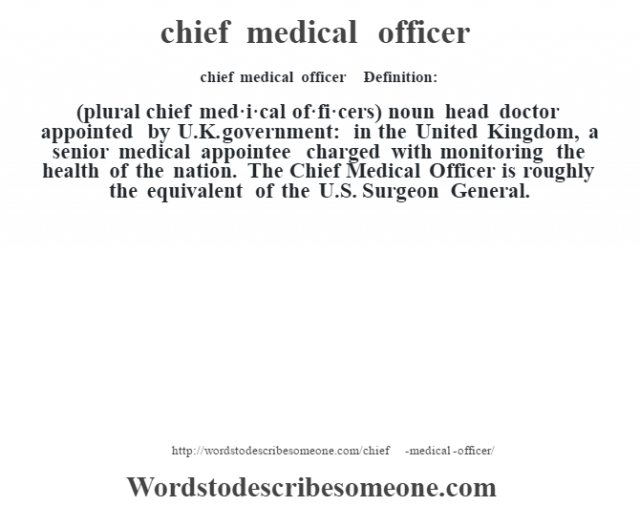 The Chief Medical Officer is roughly the equivalent of the U.S. Surgeon General.